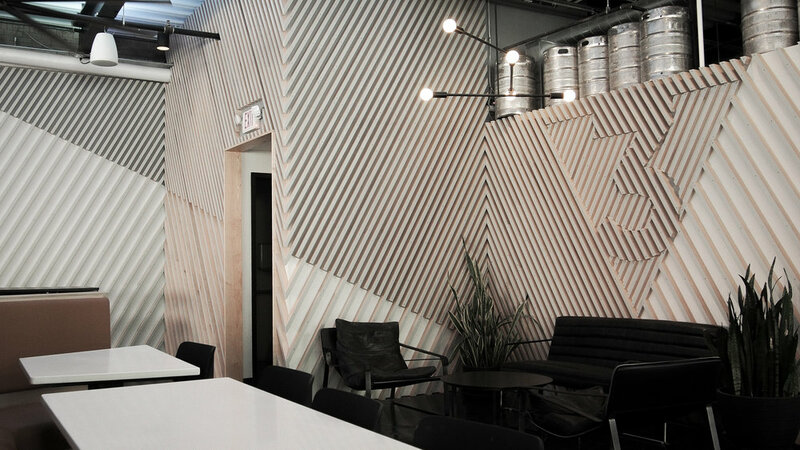 Sediment Design was commissioned to design, fabricate and install a wood-based feature wall for the new 3 Points Urban Brewery in the Pendleton neighborhood of Cincinnati. Our objective was to include the brand’s logo mark as well as activate the installation across 4 perpendicular wall segments. Utilizing color blocking on the back wall, as well as density shifts amongst the slats provided large visual breaks that generated anamorphic perspective shifts as the viewers vantage point changes. When moving about the space, color shifts occur between each wall segment. 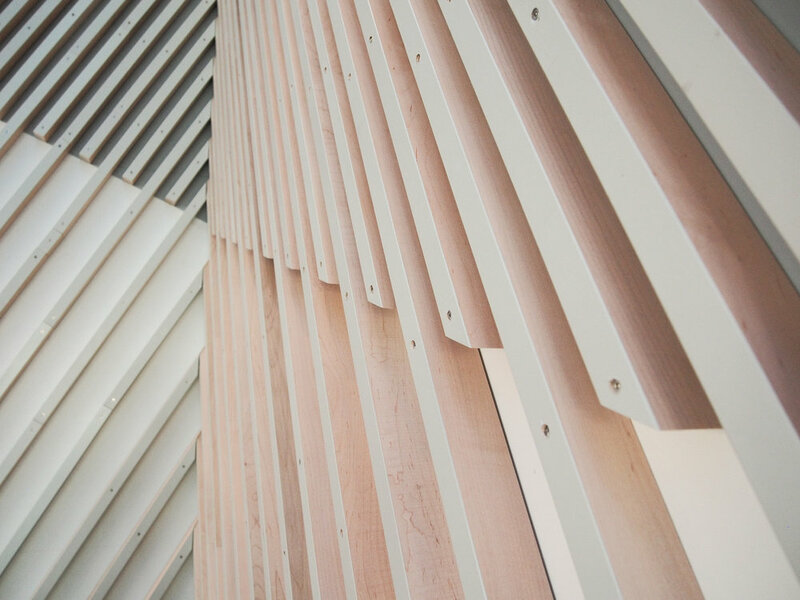 Employing grey paint on the faces of the maple slats creates a dynamic, almost holographic gradient shift across independent wall faces as well. Material: Maple hardwood, greyscale paint, satin clear coat, stainless hardware.